Section 2.2.1 – Class B coupling heads are permitted for trailers of the maximum mass up to and including 3,5 tonnes. 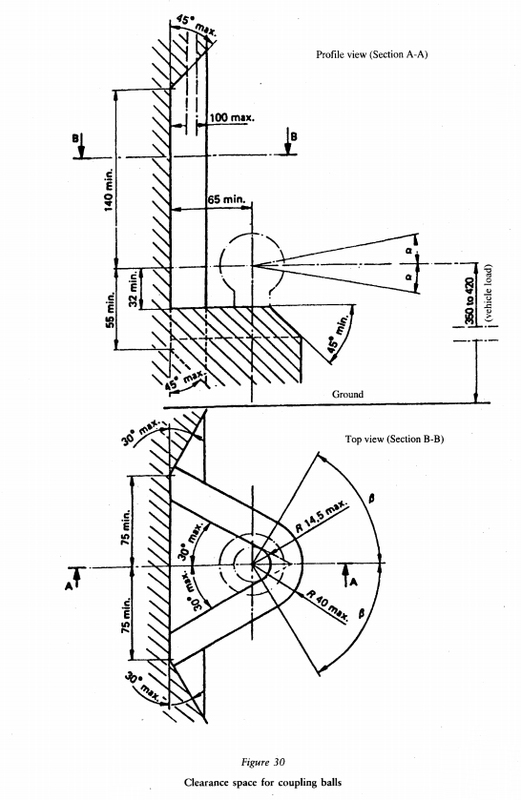 With the trailer horizontal and carrying the maximum permitted axle load, coupling heads must be attached so that the coupling point of the trailer is 430 ± 35 mm above the horizontal plane on which the wheels of the trailer stand (see Figure 31 ). “In the case of caravans and goods trailers, the horizontal position is regarded as when the floor or loading surface is horizontal. In the case of trailers without such a reference surface ( e.g. boat trailers or similar) the trailer manufacturer must give an appropriate reference line defining the horizontal position. The height requirement shall apply only to trailers intended to be attached to vehicles mentioned in Section 2.1.1. The Directive gives us two height ranges – one for the tow vehicle and one for the caravan or trailer. However, if you look at the directive in detail it gives these height ranges in “Laden Condition”. For the tow vehicle the ‘Laden Condition” may have been defined (by the manufacturer) as either fully laden (the maximum gross weight as shown in the vehicle handbook), or, conventionally laden (defined as 68.5kg per specified passenger seat and 6.5kg of luggage per specified passenger and located in the centre of the luggage storage area). Depending on the vehicle, there could be a height difference between these two loadings. For the caravan or trailer, it is a little easier. “Laden condition” in this instance is when the caravan or trailer is loaded to its MTPLM (Maximum Technically Permitted Laden Mass) and the caravan or trailer chassis is adjusted using the jockey wheel so it is horizontal. Just looking at the two height ranges, it is obvious that the regulations are designed so that in theory you always tow level or slightly ‘nose down’. It’s easy to check the height of both the tow car and trailer. Next time you load up for a trip away, before you couple up with the tow vehicle on level firm ground just measure the height of the centre of the tow ball – as long as it’s between 350mm and 420mm from the ground you are OK. Don’t forget if your vehicle has self levelling suspension to take the measurement with the engine running and the suspension set for normal running. You can do the same for the caravan as well. 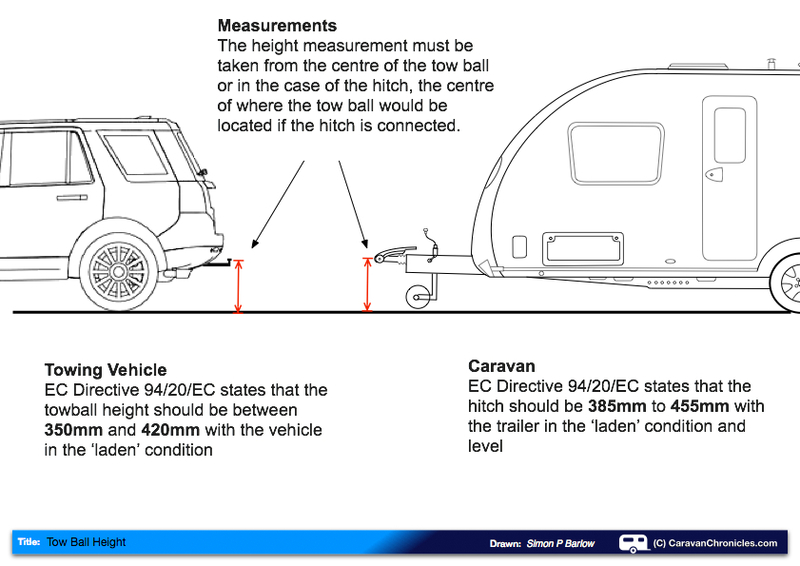 Once loaded, adjust the caravan so it is level using the jockey wheel and measure the height of the hitch. If you have an Al-Ko hitch, measure to the centre of the red dot on the side of where the tow ball sits as this is roughly (within a couple of millimetres) of the centre of the tow ball – if it’s between 385mm and 455mm you are OK.
What if my tow ball is too high? This is more likely to happen on big 4 x 4’s that don’t have self levelling suspension (Land Rover Defenders and early Discoveries for example) Some 4 x 4’s have the option of relocating the tow ball at different heights on the towing bracket it might be a simple matter of lowering the tow ball on the bracket. There is also the option of fitting a ‘dropper plate’ on some vehicles. You must check with the vehicle manufacturer and tow bracket manufacturer to see if either of these options are available to you. What if my tow ball is too low? This is more likely to happen with long wheel base estate cars or vehicles with lowered sports type suspension. Some vehicle manufacturers/tow bar manufacturers provide an option to have the tow ball set in a higher position – you would need to check as this will not be a ‘user adjustable’ setting. If it cannot be adjusted, you might need to see if it’s possible to have the rear suspension changed (stiffer springs, spring assister etc) to raise the rear end. Can I use a drop plate up-side-down to raise my tow ball? No. I don’t know of any vehicles or tow brackets that can use a plate to raise the height of the tow ball. Using one would add increased loading on the tow bracket and would invalidate the EC Approval. I would suspect you might have insurance issues if anything untoward were to happen. Caravan and trailers that have been made outside of the EU (America and Australia come to mind) have slightly different hitch heights. 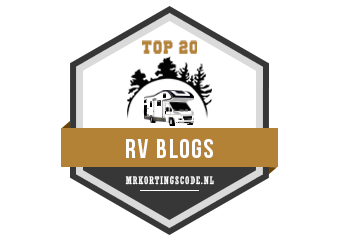 If you intend towing one of these with a European vehicle, check with the importer if there are any changes required to the caravan or trailer. Towing a European caravan or trailer with a non-European vehicle. The most likely scenario is an American vehicle. The hitch receiver height on American vehicles is usually higher than European vehicles, however the hitch receiver setup on an American Vehicle is quite different and there are a number of companies that offer lowered or adjustable ball hitches for American Receivers. The documentation for the hitch receiver will give details of DOT Approved heights and loads. Great article. I am in dispute with my tow bar fitter and Westfalia on the ball height on my recently fitted tow bar. It has a ball height of around 510mm. The main reason for this is the car, a Skoda Octavia Scout, that has a raised ride height compared to the standard Octavia. I only use it for a cycle carrier at the moment, but will be hoping to borrow a trailer at some point to see how that sits! Hi Roger I have the same problem with the same vehicle and tow bar. First of all it is hard to hitch the caravan as the height is out of the range of the jockey wheel jack. Second when hitched the caravan is nose up making the caravan unstable at high speed. Have you reached a solution with Westfalia / tow bar fitter. if you have a 50 x 50 mm neck Hayman Reece make different height drop down ball mounts just check the weight rating of these to match your trailer/caravan weight and of course Vehicle tow rating. I have a 2 inch lifted Patrol and tow a caravan with a 60 mm drop ball mount.